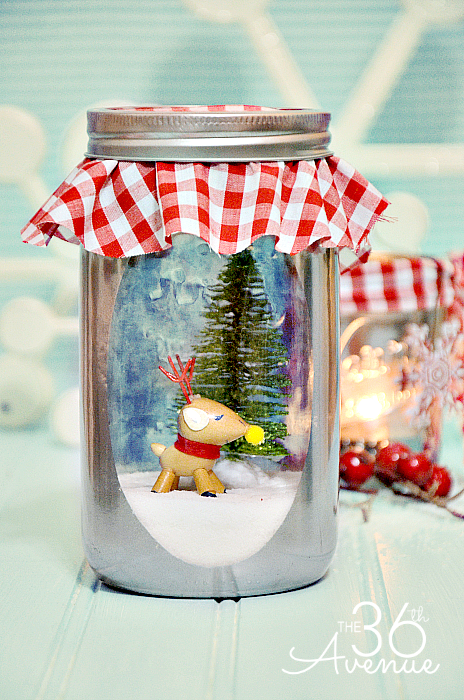 I’m so excited to share my first Christmas Home Decor Idea of the year. I had so much fun making our new Christmas Wreath. 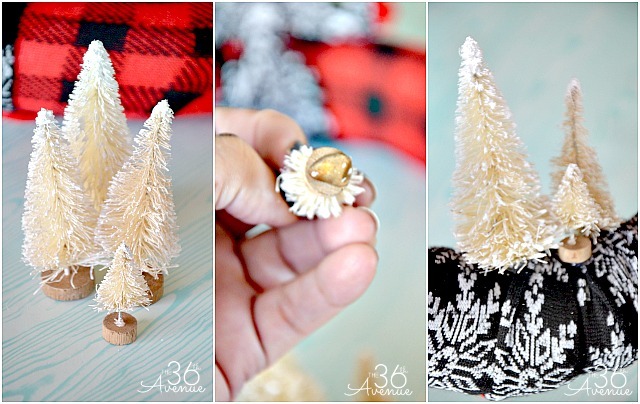 Today I’m sharing how you can make your own handmade wreath in minutes using socks and a few embellishments. Ready to see it? Take a look! Two Pairs of Long Christmas Socks – I found mine at Michaels. Are you ready my dear? 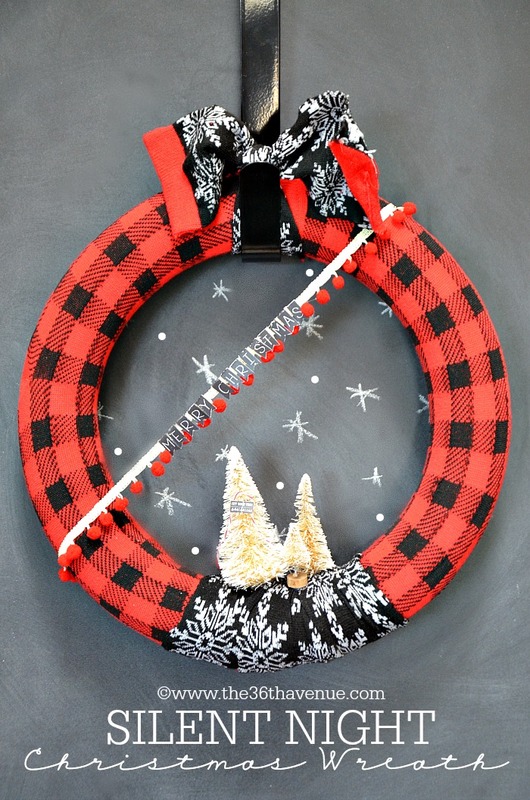 The first thing we are going to do is gently cut the wreath in one spot and wrap both sides of the cut with tape. 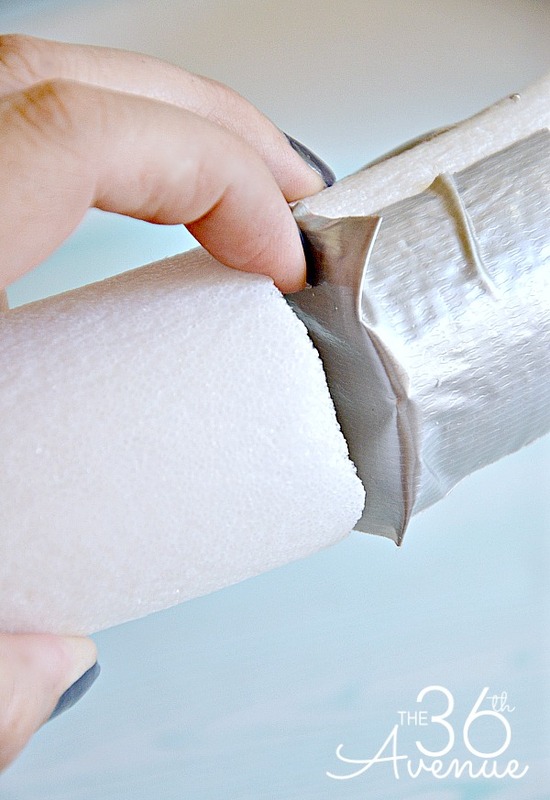 The tape will allow the sock to go in smoothly instead of getting caught on the foam. 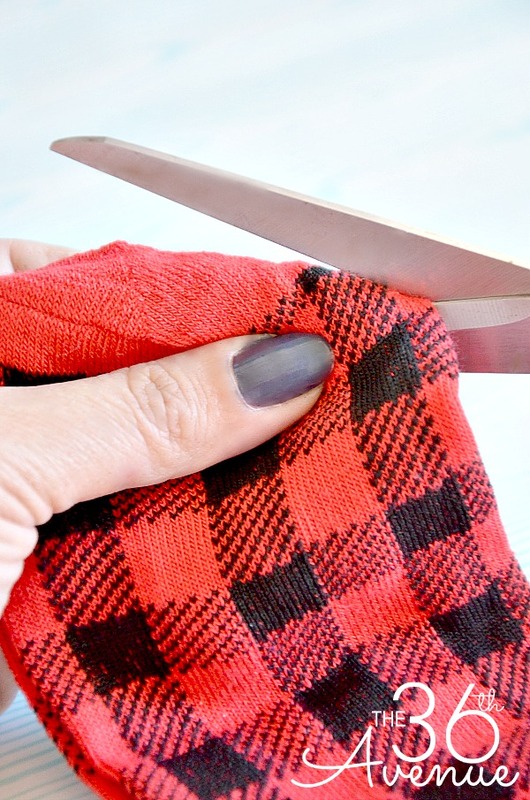 Cut off the ends of the pair of socks that you are going to use to wrap the wreath. Carefully slide one of the socks until one half of the wreath is wrapped. 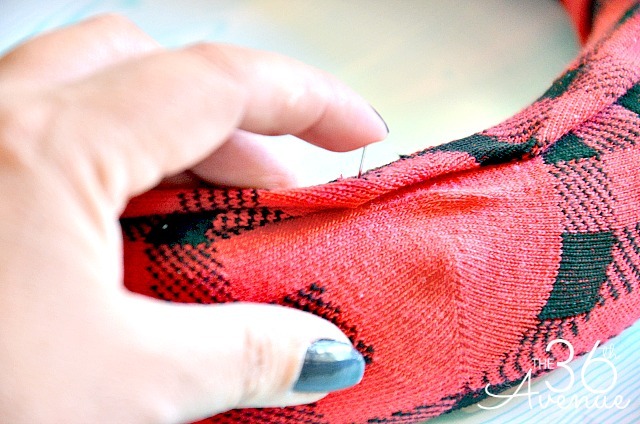 Stretch the sock until it looks smooth. If the sock is too wide for the wreath fold it on the back side of the wreath and use pins to keep the sock in place. Repeat the process with the other sock to wrap the entire wreath. You’ll end up with something like this! Cut the entire shape of one of the socks from the second pair. You will end with 2 equal sides. Wrap one of the pieces around the wreath. 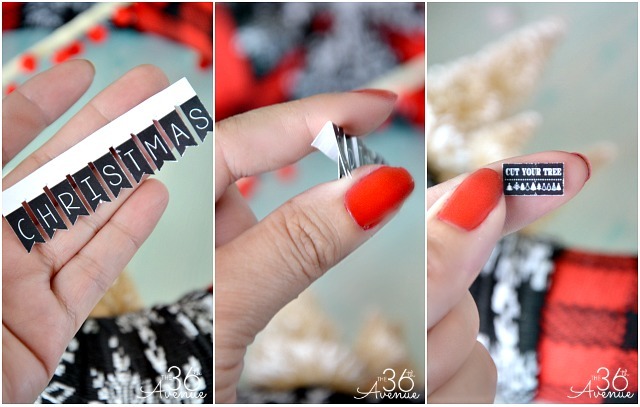 Keep in mind that you are going to place your embellishments on top. 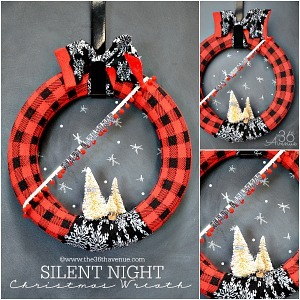 To embelish my wreath I used these adorable little White Sisal Christmas Trees. I used hot glue to keep them in place. 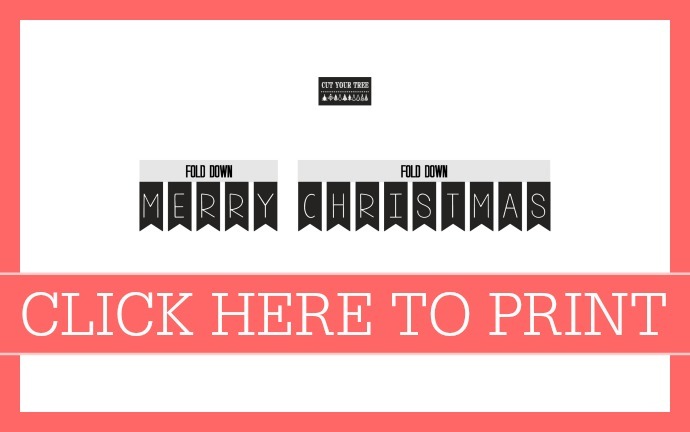 Click HERE to print the banner and the little tree sign. Cut around the banner and fold the gray area down. 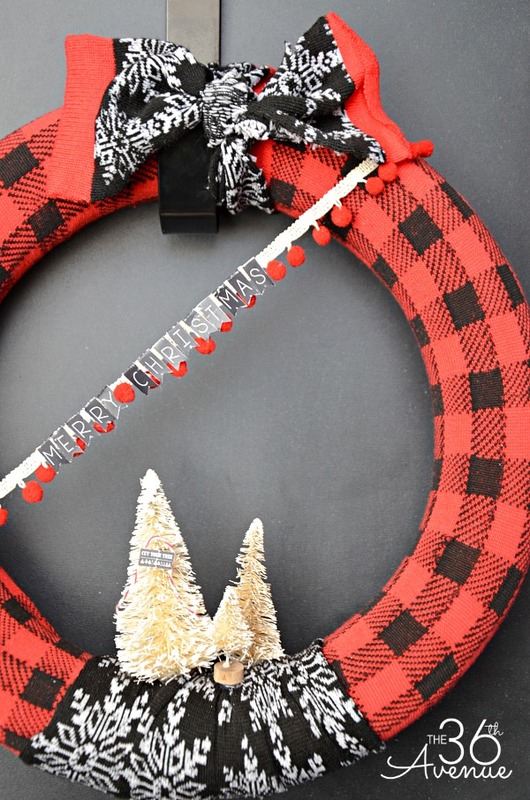 Use pins to secure a string across the wreath and hang the banner from it. I added a bit of hot glue at each end of the banner so it wouldn’t move. Also I hot glued the little sign to the tree! Take a look… We are done my friend! Now I’m working on the rest of the decor for our entryway… I can’t wait to show you! 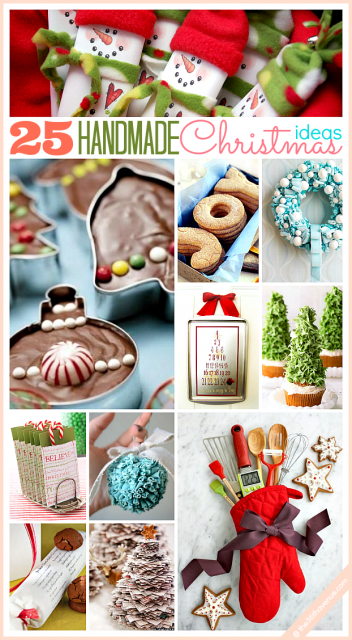 …and also these 25 Handmade Christmas Ideas. This is super cute! I may have to give a homemade wreath a try this year. 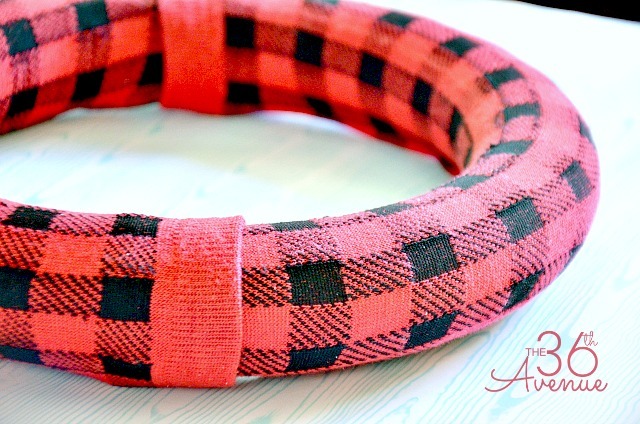 I love the idea of using sock to wrap the wreath. I love it!! What a great idea to use socks. Super cute!! I love you friend… Thank you so much! Oh my goodness, I love that you used socks around the wreath. Clever! pinned! SUPER cute! I can’t wait for the holidays! This is absolutely adorable!!! You are so creative!